Tuesday was this year's first 18 holes fun competition and playing a Wish, Gift and a Joker for the first time at Chesfield Downs, new ladies Jan and Debbie came in with a very creditable 42 points each. Not to be outdone though, Helen was to come in officially second on count back also with 42 points, only to be beaten by Mandy with an amazing 44 points. Well done to all the ladies in there with a chance to win! The Megan Bonner Par 3 trophy on Thursday saw a shot-gun start and two ladies in particular were eager to make an impression. Megan herself tee'd off on the 1st (above) and as always, was keen to get her hands on her own trophy, and Jacqui, last year's winner, found herself in trouble in the bunker on the 9th, when her ball plugged itself in the upward bank! How did they fare, well you will have to wait until the Spring Meeting when the winner will be announced? Nevertheless, the weather was very kind to us with 13 ladies gaining birdies. The round was followed by a light lunch and a brief talk by Sharn Tomlinson from MIND in Mid Herts who gave us an outline of the very valuable work this charity performs in our area. We will be working hard this year to raise money for them. Saturday saw the 13th round of the Ken Bird Trophy, an Individual Stableford competition. The weather was glorious and the scores reflected that. John Dench, the Mens Captain scored an amazing 41 points, so well done to him! Our own Pat W came in with a great 35 points, well done to her and the other ladies who played! Those who played on Saturday may well have noticed a small change to the areas around the GUR bunkers by the 9th and 14th greens. 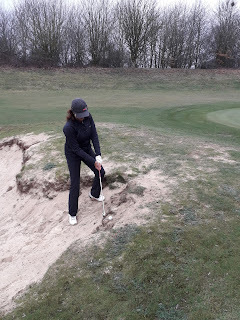 The dropping zones on these holes were deemed, on inspection, to be penalising those golfers who had in fact landed just beyond the bunkers, but within the GUR line. The decision has been taken by Andy and the management to remove these particular dropping zones and therefore 'the nearest point of relief' will be in force for those landing within the designated GUR areas on these holes. Please do ask if you are in any doubt. 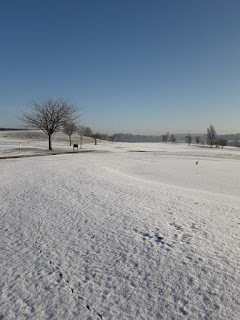 You may well have also noticed on HowDidIDo that the Thursday Price Vase/Stableford Main Competition Day on 14th March has moved to a four-ball sign-up. This has been a decision made by Lin and myself, in order to ensure that all the ladies are able to play this popular event. As you will be aware the section has grown significantly in the last few weeks, which is great but action needed to be taken to ensure everyone is able to play who wants to. This change will also be seen in other Stableford comps going forward. However, to try to ensure play is as speedy as possible, can I ask you to sign up in threes in the first instance please, using the fourth slot only if there are no others available. Thank you. Marica has asked me to remind you that Birdies have returned from their flight south and will be with us from 1st March. A new book will be out next week. Lastly, many many thanks for the lovely flowers sent to me following my recent illness. I am recovering my stamina and hopefully will be out on the Par 3 this week, I'm certainly missing the fresh air and golf. Hope to see some of you in person later this week. A week of decent weather saw most of the ladies able to get out there and play. Tuesday was a game of 5 clubs and a putter!! Do we ever get those choices right when we stand in the mornings thinking about which clubs to leave out? Jean and Hazel obviously did! Jean came in with a very respectable 17 pts and Hazel (whose handicap must surely go down soon!!) came in with a lovely 19 pts. Great scores ladies, well done! Also on Tuesday, many of us were able to say hello to two new ladies, Olive and Jan, who have joined us recently. 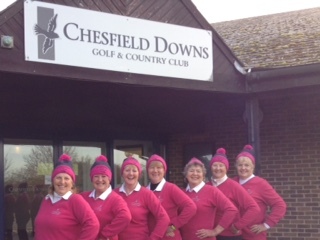 They are very excited to be part of Chesfield Downs Ladies and intend to take full advantage of all that our great club has to offer. As well as Olive and Jan, we also have another new lady joining us this week, Debbie. She is waiting for her handicap to come through, which will do any day now, but will be playing on Tuesday in the meantime. I know you will make these ladies feel very welcome as you always do. Do you recognise them all?? Standing very proudly in height order and wearing their smart new hats, the Pearson Squad put up a gallant fight against Essendon on Wednesday 13th February, very narrowly losing at home 3:4. A great effort ladies and fingers crossed for the win you all so deserve on Monday 25th March when you play Manor of Groves away. Thursday saw the final round of the Winter Eclectic and well done to all those who were able to knock off a point or two. Thank you to Lin for keeping the final results hidden from us. The grand announcement will be made this coming Thursday after the Megan Bonner Par 3 competition. 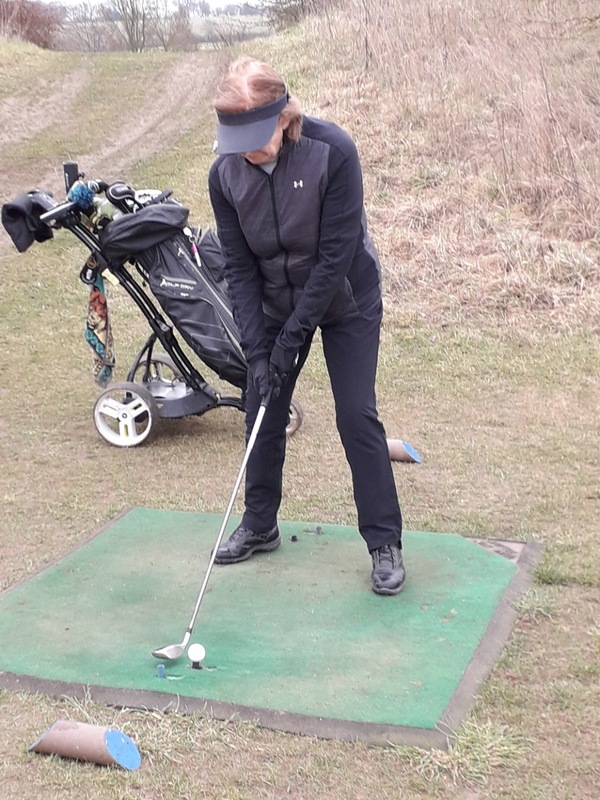 Five ladies played in the weekend Ken Bird League Round 12 on Sunday, with Nikki taking the honours for the ladies with a birdie on the 7th and coming in with a score of 1 for the Individual Bogey against the Course format!! Not sure how that particular format works but Lin, Pat, Linda and Lauren do, as well as obviously Nikki. Well done to all the ladies who played. Whilst the Winter Knock-outs are in their final stages, we are now looking forward to the summer and its knockouts! The sign-up sheets will be going up this week for the Ann Grist (singles) and Mary Warmoth (pairs) knockouts. I am hoping that Jo Oliver will once again join us for the draw after the game on Thursday 21st March. The cost is just £2.00 per entry for either competition. Its great fun and matchplay against friends is always challenging and not without some laughs!! 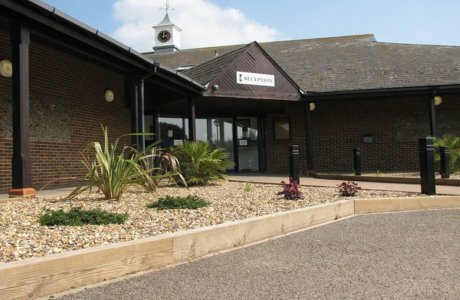 Thursday 7th March sees the first of the season's England Golf/Club Monthly Medal competitions, and the sign-up sheet is now on HowDidIDo. In line with CONGU recommendations all the sections of our club will use the new Maximum Score format for these competitions. This means should you have reached 5 over par on any hole you will pick up your ball and record the 'maximum' score allowed for that hole, or a zero and move on, thus capping your score. This will help to speed up play and reduce our frustrations when struggling on a particular hole. A positive move I think. Are you busy on Friday evening the 15th March? If not why not join the Seniors in their Quiz Night. The sign-up sheet is on their notice board and they would love to fill all the spaces. A really busy newsletter this time around, so I do apologise for that. I hope to catch up with you all this week sometime and look forward to a great morning Thursday on the Par 3. Well what can I say about the weather this week that the above doesn't say!!! Storm Erik certainly made the course really challenging and it is easy to see why Links courses get the reputation they do in difficult weather conditions. As Erik waited off our western coastline, Tuesday's game was only slightly affected and it certainly did not put off the Alliance overall winners of Hazel, Karen and Julie R as they managed to score 39 points and with only 3 in their team!! Well done Ladies. Thursday, well that was a very different picture!!! Erik was in full flow by then and it was very difficult at times to even stand still to drive off the tee, particularly on the 5th!! Needless to say, I for one, have certainly not managed to reduce my very high score on that particular hole yet!! One last round on Thursday 14th and lets hope we see calmer skies. 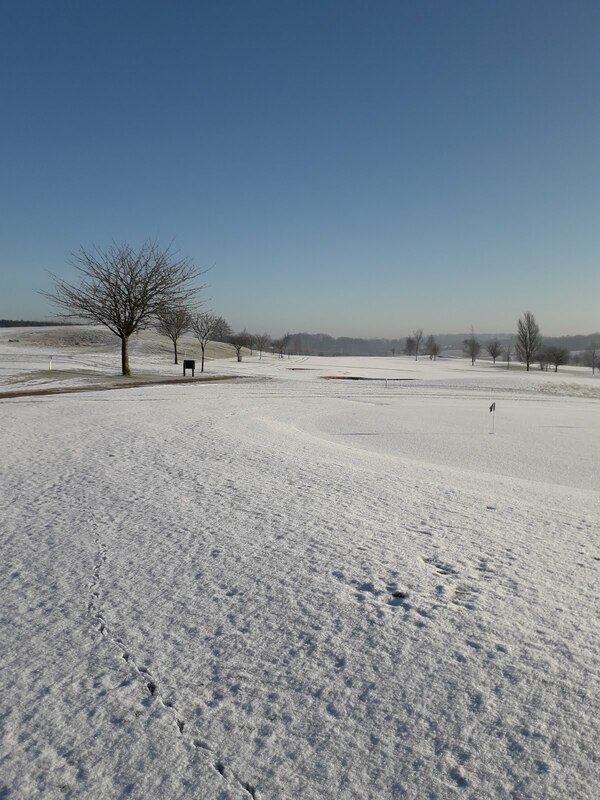 Saturday's match also saw some tricky weather conditions, with only 3 competitors (men) managing to score 36 or more in the Ken Bird Individual Stableford Competition. Whilst 8 Ladies braved the weather to compete, scoring was difficult this time around. Well done to those involved for getting out there though!! The Minutes of the 1st Ladies Committee Meeting of the year are now available in the Locker Room in paper form. 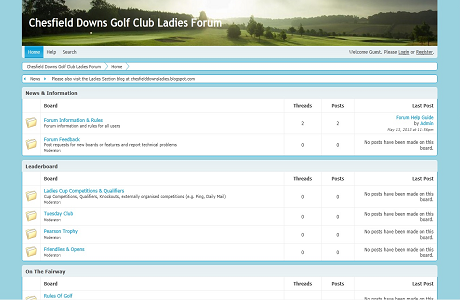 There is much going on at the moment with changes to the course, rules, weekend matches etc, so please do read them and talk to us if there is anything you are unsure about or indeed would like further information about. We will be contacting you all soon for your agreement to us holding your data. This is in line with the national requirements (GDPR) and something that all groups have had to comply with over the last year or so. 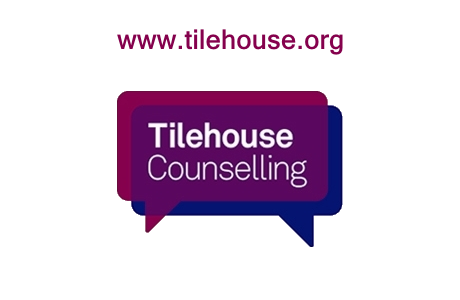 In the meantime, Marica has asked that if you have changed any of your details; telephone, email or mail address, in the last year, could you please let her and myself know so that we can make sure we are as up to date as possible. Thank you. Many of you will know that the Pearson season starts again after its Christmas and January break, this coming Wednesday 13th, when we will be playing Essendon in what will be a very tight game, and of course, we will be hoping for a home win. Good Luck Ladies, we all wish you well! Whilst some ladies have put their names down to indicate that they are available to play in the remaining matches of the season and thank you for doing so, we would like to reiterate the Pearson requirements. You will simply need a handicap between 13-32, and indeed a player over 32 may play but will need to play off 32. If you haven't yet put your name down to indicate that you are interested and available to play, please do so. Megan and Kathy C, the Pearson Captain and Vice Captain will then select the team two weeks prior to the match and of course, will then let you all know. Finally, there are still a few spaces left for the Megan Bonner Par 3 competition for Thursday 21st Feb, so do get your name down! 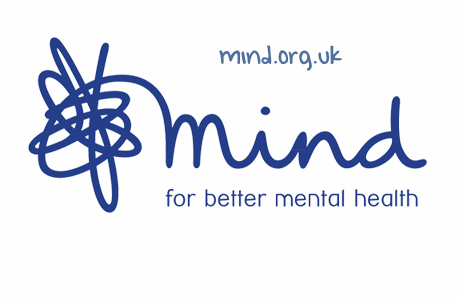 The CEO of MIND in Mid Herts will be joining us for the after match soup and baguette and will talk to us about their work in our area, before we finish with the Winter Eclectic presentation. Even if you are not playing but would like to join us for soup, baguette and the talk afterwards, you are very very welcome, just drop me a line.